your blog is your value source. Many entrepreneurs, aspiring & well seasoned overwork themselves by not using the resources they already have. 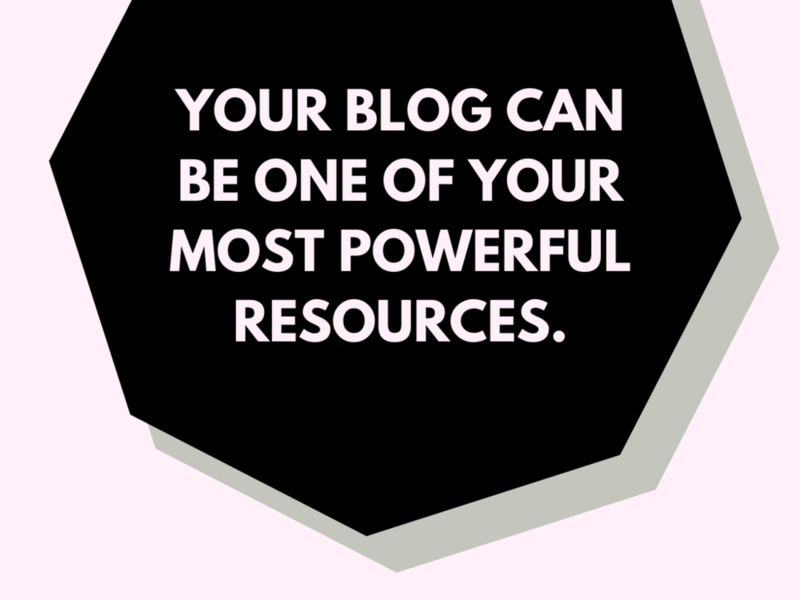 Your blog can absolutely be one of the most powerful tools in your business. It's the place where you can funnel the customer from Instagram via your feed or stories, to click the link in the bio. That takes them to a specific Call To Action, where they end up on your blog. Give them VALUE, catch the customer's attention, and capture the sale. Beyond that, you can automate this behavior, where it's repeated over and over. There are 2 businesses, A & B, that both sell easy, at home workouts for the woman on the go! Identical in every way, except that Site B has a blog where they also give quick weekly recipes, and an accountability workbook that the customer can use to add value to their workout. Site B is functioning with their customer's value, needs, wants & desires in mind. Site A is just ready for the sale. Who are you shopping with...? That's the power behind your blog. Grab our freebie below and get 20 quick tips to jumpstart your blog! Your new customers are waiting for the value to go along with your products!